To that end, I am beginning a blog series on Sewing Fundamentals. Grain, Fabric, pattern markings, pinning, basting, measuring, tools. These are the true basics. Also- for those of you that are local, I am offering this in a hands-on workshop version this coming Saturday, April 13. 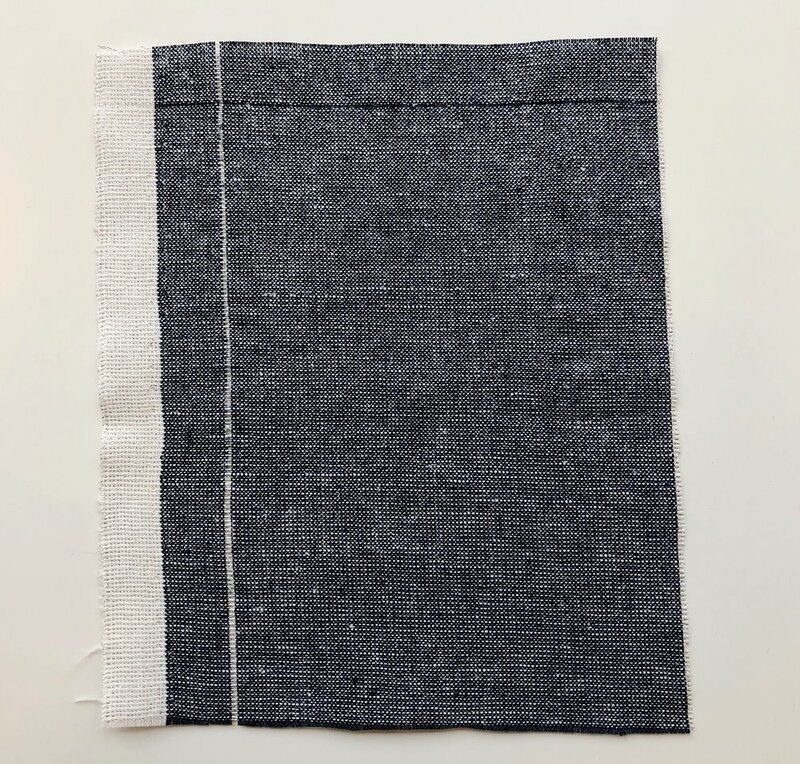 The actual project is to make cloth napkins, but with that, you will gain so much experience that will help lay a foundation and true understanding of learning to sew. Broadly speaking, fabric can be organized into three categories. Woven, stretch and non-woven. For this post I am focusing on woven fabric. What is grain? Simply put, grain is the direction of the weave in the fabric. Fabric is created by weaving two or more threads at right angles to each other. There is the lengthwise grain and the crosswise grain. The lengthwise grain, called the warp, runs up and down while the crosswise grain, called the weft, is made from threads woven over and under the lengthwise grain from side to side. As the fabric is woven, the selvedge is created by the weft threads turning as they are being woven in the opposite direction. This creates a continuous binding on the length of the fabric. When you examine a piece of fabric, you can see these two grain lines and selvedge. The reason why these grain lines are so important is that they react in different ways. The warp thread, or lengthwise grain, is the stronger of the two and therefore less likely to stretch out of shape. There are more warp threads per square inch than there are weft threads. These extra threads create strength. The lengthwise grain is the grain most used in garment construction. The weft, or crosswise grain, is less dense and therefore has some give because of the over and under weaving. Because of this, it does make for more comfortable garments that have some inherent give where necessary, (think shoulder seams and sleeves). That bring us to the third grain, the bias. The bias grain refers to fabric that is cut at a 45 degree angle to the crosswise and lengthwise grain. Bias creates softness and a drape that can follow a curve to stunning effect. In the next post I will explain why cutting on the correct grain is so important and of course, how to ensure that the fabric is “on grain”.